We’re wicked stoked about this year’s Headshot Mixer at The Studio! This is our third year hosting the mixer and we are so excited to bring it back to you again. Each year we host realtors, financial advisors, loan officers, non profits, and natural resource professionals from across Alaska to update their headshot in a fun and relaxed environment. Want to update your headshot, but don’t need the full hair and makeup services we offer? 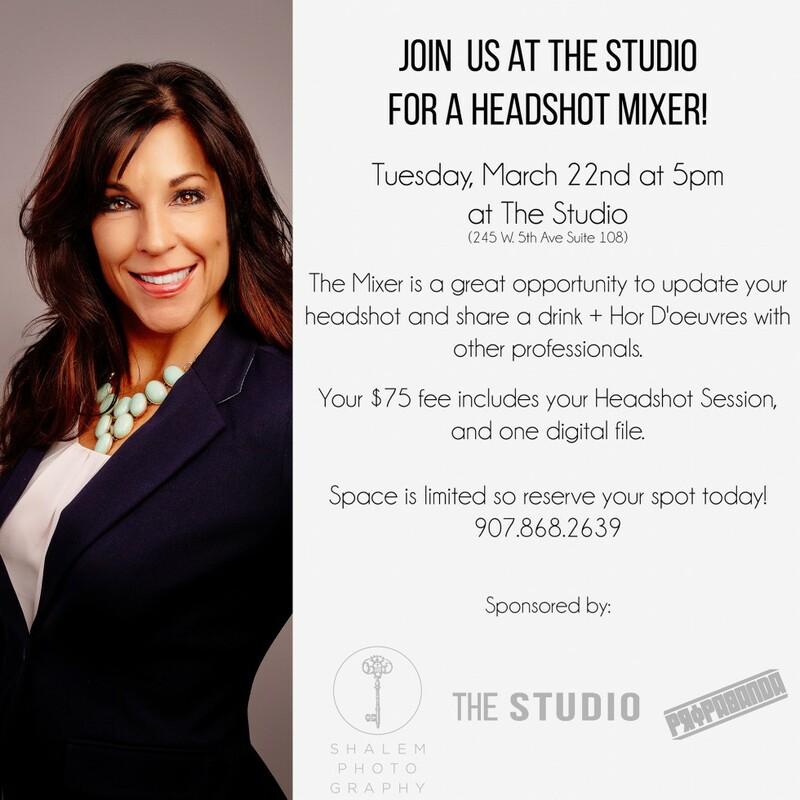 The Headshot Mixer is an excellent opportunity to network with other professionals, have a drink on us, and update your look! So what are you waiting for? Call us today to reserve your spot at this year’s mixer! 907.868.2639 or drop us a line.